This week, thousands of Southern Baptists will converge on Columbus for the first of their national meetings held in Ohio. The Southern Baptist Convention will hold its Pastors Conference and Annual Meeting June 14-17, drawing 10,000 attendees to the city. 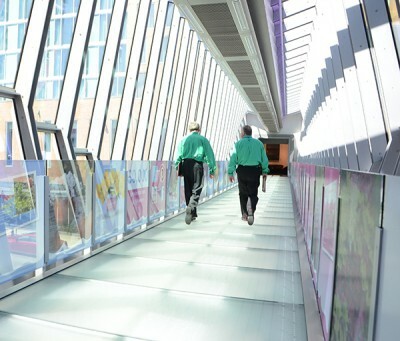 "We&apos;ve long looked at Columbus to host our Annual Meeting. What changed things was the announcement in 2010 that Columbus was building the new Hilton Columbus Downtown," said Roger Sing Oldham, vice president, convention communications and relations for the SBC Executive Committee. "Thanks to the gracious invitation from the State Convention of Baptists in Ohio and the hospitality of leaders and staff from the City of Columbus and its convention center, we look forward to a wonderful time of fellowship and celebration in Columbus with Southern Baptists from across the country." The organization was the first group to book a meeting in Columbus once the Hilton Downtown Columbus broke ground. 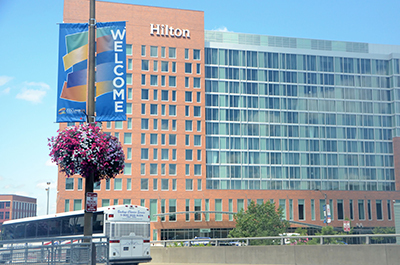 The addition of the Hilton property to Columbus downtown convention package enabled the city to accommodate the thousands of people who attend SBCs national conference and related meetings each year. 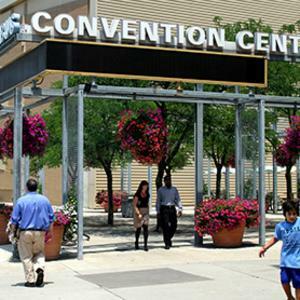 The meeting will take place on Tuesday and Wednesday at the Greater Columbus Convention Center, but participants began arriving last week. On Saturday, many attendees fanned out to do service projects throughout central Ohio. Ohio is home to 700 Southern Baptist churches, with 119 in metropolitan Columbus. The Southern Baptist Convention has been in existence for nearly 170 years and grown to be a network of more than 50,000 churches with 16 million members. During their time in Columbus, attendees can participate in Crossover for Columbus, a series of community service projects, and attend the Pastors Conference, June 14-15, and the Annual Meeting, June 16-17.